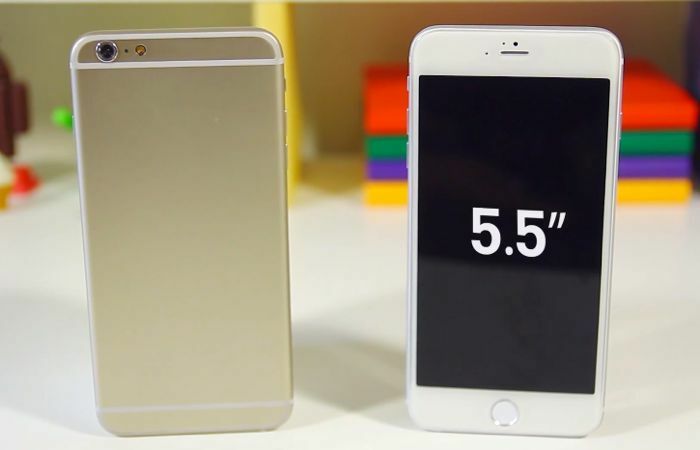 We have seen various leaked parts for Apple’s new iPhone, and now the rear casing for the 5.5 inch version of Apple’s iPhone 6 has been leaked. The guys over at Nowhereelse managed to get their hands on the rear casing for the 5.5 inch iPhone 6, and have put together a video showing off the casing. Apple are expected to announce the 4.7 inch iPhone 6 at the press event next week, it is not clear as yet on whether the 5.5 inch model will appear at the event, as this device is rumored to launch later in the year. The new iPhone 6 is rumored to come with a new design, and a number of hardware updates, which will include a sapphire glass display, and a faster processor. The iPhone 6 is rumored to be powered by Apple’s next generation 64-bit mobile processor, the Apple A8, the handset is also expected to come with improved graphics and more. Apple are expected to introduce new cameras on the new iPhone, with both the front and rear cameras expected to get significant upgrades over the existing model. The handset will also come with a new fingerprint scanner which is designed to be more accurate and durable than the current version. We will have full details on the new iPhone 6, when it is made official at Apple’s press event next week.